Australian cult psychological horror film The Babadook is a powerful extended metaphor for the disquieting influence of trauma and grief, a poisonous force that disfigures a mother’s relationship to her son and hijacks their domestic existence. Its titular horror-movie monster also, bizarrely, became a LGBT symbol, a cultural meme that began with the head-scratching classification vagaries of the Netflix algorithm and the obvious clash between the movie’s ominous blackened darkness and the multichromatic celebratory flagrancy of Gay Pride, but has since traversed into semi-sincerity. Not singularly a manifestation of the agony of a buried personal trauma that threatens Amelia (a magnificently fried and frazzled Essie Davis), the Babadook could also be understood to represent the disavowed pain of the closet and the dangerous mental drag of repressed identity (though these themes have no particular purchase in the cinematic text itself, it should be admitted). Like much recent psychological horror of note (It Follows, The Witch), The Babadook constructs the fearful extremes of experience catalyzed by a malevolent supernatural force as a potent symbol for deeper, more amorphous forces of society and memory. If we can acknowledge that these are the things that The Babadook is, then perhaps we can approach an assessment of what The Babadook, with slowly-dawning frustration, is not: namely, an involving, entertainingly scary horror film. It’s difficult to quantify exactly why writer/director Jennifer Kent’s clever, intellectually-rich creation doesn’t ultimately land as a compelling factory of fear. Everything is in its right place, nothing presses against the limits of its internally-consistent terms of suspension-of-belief, and the design of the titular monster – a leering-visaged, elongated black shadow with talon-fingered Nosferatu hands and an eerie old-fashioned top hat – is simply and often crudely realized in a way that makes it even more instantly iconic and disturbingly creepy, like a stalking Gilded-Age-era cousin of Slenderman. 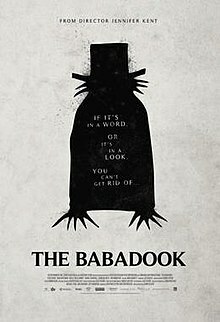 The Babadook should be great. The very fact that it found its way from marginal Down Under independent cinema circles to the wider world implies that it must be. But it isn’t. Why not? 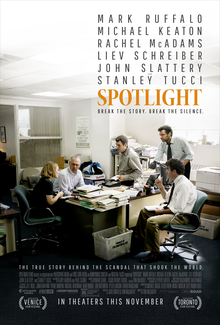 Most naggingly, this fairly efficiently-lengthed film (94 minutes of runtime) feels almost interminably long. Most likely, Amelia’s suffering is a touch too relentless. The slow unravelling of her life and her relationship with her imaginative, precocious, semi-neglected handful of a son Samuel (Noah Wiseman, balancing grating irritation with believable sweetness and desperate-to-please vulnerability) in the wake of the death of her husband Oskar (Benjamin Winspear) in a car crash as he drove her to the hospital to give birth to their son is central to the film (it is the film). But Kent pushes the same buttons repeatedly, re-emphasizing what has already been well and truly established. The Babadook should crescendo with Amelia and Samuel facing down the beast of grief in its full might, but this cup of misery merely overflows once filled (and that happens earlier than it ought to, perhaps a sign of freshman director Kent’s inexperience). 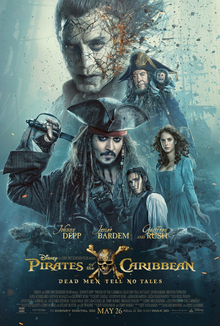 It’s really too bad that this movie doesn’t ultimately put it all together, because that all is often superbly imagined and richly fascinating. The Babadook itself, first manifested in the alarming imagery and words of an exquisitely-designed children’s pop-up book, is a tremendous imagistic metaphor. The being is increasingly identified directly with the forever-absent paternal figure of Oskar, the lost patriarchal stability implied by the dead father turning unsettlingly menacing and dangerous as it demands familial blood-sacrifices of Amelia (she has a little dog named Bugsy, and things never go well for dogs in movies like this). The Babadook is an inherently masculine-marked figure (that banker’s top hat, for starters) whose haunting prevalence in the psyches of Amelia and Samuel prevent them from relating to each other healthily and sanely. The resolution of the problem it represents, like that of pained grief and past trauma, does not lie in killing the monster but in taming it, feeding it as little as possible while learning to live with the dark turn of thoughts and feelings it symbolizes. One could conceivably push readings of the Babadook even further to historical and sociopolitical territory. Kent’s film is clearly set in Australia but avoids obvious, stereotyped Australian-ness (what that would be, outside of the Babadook manifesting as a kangaroo who is killed by Crocodile Dundee with a hunting knife, is not entirely clear). Australia, like many settler societies, has a dark, semi-genocidal element embedded in its foundations that might be said to be a Babadook-esque force in the life of the nation, to say nothing of its complicated and troubled history as a British penal colony, a history frequently disavowed and treated with shame when it is acknowledged. Kent’s next film, The Nightingale, is set in Tasmania in 1825 and seems poised to look this hidden Australian darkness straight in the face, so it’s hardly far-fetched to suggest that her artistic intentions might have run in such a direction in the film in question, albeit in highly disguised form. The Babadook is fertile ground for such interpretations, which makes it that much more disappointing that the baseline-level effect of the film itself is so mixed. 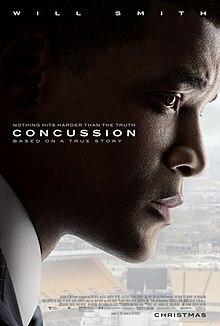 This is a film that knows, with depth and breadth and pregnant meaning, what it’s about. That it can’t quite translate that meaningful core into a necessarily involving and affecting genre film, that it just falls short of doing what it ultimately aims to do, makes it frustrating but no less compelling. What is does do is announce an exciting new filmmaking talent from the Antipodes. Jennifer Kent has the tools and the vision, and if they aren’t all on full and effective display in The Babadook, this movie strongly suggests that we’ll see her get there sooner than one might expect. David Lowery’s spectral and tender supernatural art-film tragedy A Ghost Story is painfully, realistically tangible and grandly, metaphorically imaginative in alternating doses. 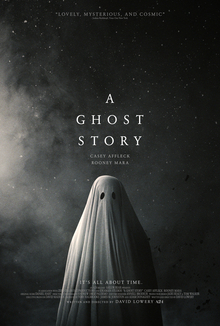 In broad strokes, the film may strike the uninitiated as silly in its premise: a man (Casey Affleck) dies in a car crash and becomes a standard-issue Halloween-costume-style, white-sheet-with-eyeholes-cut-out-of-it ghost, haunting the home he shared with his wife (Rooney Mara). Unseen and unable to interact with her or with anyone else living, the ghost watches – silently, impassively, featureless – her raw, paralyzing grief give way to a return to routine and eventually to a life away from him and his fading memory. The early passages of A Ghost Story detail their domestic life, with Affleck and Mara (who co-starred in Lowery’s festival-circuit indie breakthrough, Ain’t Them Bodies Saints) settling into a realistic, charismatic ease in each other’s presence. She’s ready to move to another, better house, but he’s a musician and likes the old piano that came with the house, and perhaps its acoustics and comforting countours as well; when he agrees to move at last, they caress tenderly in bed, but he dies before they can complete the move together. When she does move away and the ghost is not able to follow, A Ghost Story transcends the moving intimacy of its initial act and becomes something something more eerily cosmic and symbolically metaphysical. A Spanish-speaking family takes residence, until the ghost petulantly poltergeists them into vacating in fear. As the ghost scrapes at a crack in a wall, trying to retrieve a note his wife left there, a subsequent owner holds a lively party. There, at the kitchen table over drinks, a man (credited as Prognosticator and played by indie-folk prophet Will Oldham) expounds cleverly but self-negatingly about the pitiless ravages of time, how even the greatest legacy of human cultural patrimony (his example is Beethoven’s Fifth Symphony, which distinctly interrupts Daniel Hart’s moody, affecting score as he speaks) will be wiped away by the (very) long-term advance of cosmic spacetime. The house is demolished soon after this contextualizing monologue (easily the most sustained dialogue in Lowery’s beautifully spare film), to be replaced by a cityscape of gleaming skyscrapers. But then, in a temporal twist, the ghost returns to the past, witnessing a family of white pioneers begin to put down stakes on the site of his future home, only to be massacred by Native Americans. The ghost then waits until his living-man form returns to the home with the woman he loves, and plays a role (purposeful? inadvertent?) in the tragic path of their lives. A Ghost Story is a lovely, symbolically rich meditation on the dull ache of passing time, on draining memory and fleeting remembrance. One fancies it even contains a sketched critique of America in that temporal jump in the pre-chorus prior to its final circle-closing coda, suggesting a scarlet thread between contemporary impersonal techno-capitalism and the precarious annexation project of colonization. But at a bedrock level, it’s a film of astute mournful poetry and elegiac sadness and loss. Like a ghost, it haunts and lingers. 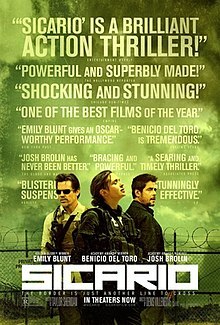 Before it climactically but quietly unveils its limited core critique of the drug war like a slow-handed, old-fashioned magician who’s still got the touch, Denis Villeneuve’s Sicario sears its morally-ambiguous portrait of American government agents targetting the brutal Mexican drug-dealing cartels for incisive (and not entirely legal) reprisals into viewers’ visual cortex with a litany of indelible images. Villeneuve and his master cinematographer Roger Deakins (the duo collaborated on last year’s Blade Runner 2049, one of the most consistently beautiful films of the 21st Century) show us an armored police vehicle on a raid backing through the living room wall of a dealer’s house while a cartel henchman watches TV, then the same house’s walls opened up to reveal dozens of plastic-wrapped corpses. Crowds of migrants are seated on the pavement under the fluorescent glare of a bus station; U.S. law enforcement agents stand on a rooftop near the Mexican border as the sun sets ravishingly, watching the nightly inter-cartel “fireworks” of gunfire and explosions burst out on the southern side; the black silhouettes of an armed and armored Special Forces strike team stalks in front of a painted dusk-hour horizon. There are deeper and harder questions lying behind this aestheticization of the front lines on the war on drugs, as there are in Sicario‘s ripely imagined premise in general. But we ought to reserve some initial praise for those very fine aesthetics before pulling down this silky curtain to consider what harsh things we find there. Villeneuve’s prodigious skill at orchestrating extended, absorbing sequences and Deakins’ next-level camera work come together in a scene of crescendoing tension, as our core trio of characters – FBI agent Kate Macer (Emily Blunt), information-withholding Department of Justice task force leader Matt Graver (Josh Brolin), and the mysterious, sinister Alejandro Gillick (Benicio del Toro) – ride with a highly-armed joint U.S. government/Mexican Federal Police convoy moving a high-value cartel-connected asset across the border from Ciudad Juarez to Texas. Vehicles screech through Juarez’s winding streets, past the hanging, mutilated corpses of the hot war between Mexican police and the cartels, before a traffic jam just past the border crossing erupts into a shocking bloodbath of a shootout. It’s bravado stuff, and Sicario is never better, which is not entirely a good thing as there remains a good hour in the movie once the dust settles from this incident. Kate is offered a spot on Graver’s task force, and accepts it out of duty-bound righteousness, as well as a desire to accomplish more than the usual low-level busts of her unit’s purview, despite misgivings from her partner Reggie Wayne (Daniel Kaluuya of Get Out) about the shady extra-legal deep-state vibe of the enterprise (which turn out to be rather prescient). Without getting too deeply into the plot weeds of the mission, Graver – and especially the increasingly ruthless Alejandro, who has a personal score to settle – are pulling at cartel-woven threads and hoping one leads them to a major honcho named Fausto Alarcón (Julio Cesar Cedillo). There are more firefights with cartel triggermen along the way, along with kidnappings at gunpoint and a largely-implied prisoner interrogation utilizing torture. In other words, in most ways, Sicario is pretty standard, vaguely-politically-charged, drug-war action-thriller genre material, despite its occasional elevation by Villeneuve and Deakins and their evolved visual sense. What this largely means is that it depicts, and at least partially valourizes, agents of American power utilizing pitilessly violent zero-tolerance tactics against squads of tattooed, menacing Mexican vatos, regardless of the rule of law or the integrity of international borders or any species of moral code. Sicario is Zero Dark Thirty for the border narcotics conflict, complete with nighttime military-equipped assassination missions and dangerous intimations of the strategic value of intelligence gained through the torture of enemy combatants. Like that similar film, the impressive hypercompetence of the filmmaking serves to obscure the cynical, fearful authoritarianism at the film’s heart, lurking in masquerade as a bloody-minded tone of clear-cut pragmatic realism. A hard approach to deal with hard men, democracy and law be damned. The opening sequence, with Kate’s team uncovering a house literally insulated by the bodies of cartel victims that is fruther guarded with deadly, cop-slaying booby traps, stacks the deck irrevocably. When wrestling with monsters, one must needs be monstrous. Even Kate, principles aside, recognizes the limits of her by-the-book approach and finds herself going along with the extralegal operation, seemingly to see how far it can go, how much burning the rule book can ultimately accomplish. But Sicario possesses the tunnel vision of the trenches, and cannot see far beyond the barrel of a gun to the wider causes and consequences of the drug war. The script is by Taylor Sheridan, who also penned the far-superior Hell or High Water, which invokes genre conventions and a far cleverer premise to deliver a deeper and more potent critique of the widespread damages touched off by American capitalism. Sicario does hold a deep-cut twist at its core: Alejandro, who in del Toro’s seasoned and forever-unpredictable hands emerges as the film’s defining problematic badass antihero, is not only settling a grudge but acting as the agent of a rival criminal empire’s power grab. A sequel, out this summer from a script by Sheridan but without the direct involvement of Villeneuve or Deakins, will focus on Alejandro, exactly the sort of figure of gangland funhouse-mirror romance whose acts of cool-headed vengeful violence excite throngs of aggro young men to wish-fulfillment adulation (and holy hell, does its premise sound deeply politically problematic, if not outright terrible). To given Sheridan a bit of credit, he does intend to question the premises of the drug war more than glorify the deadly ballet of amoral shadow men, and it’s hard to say that Villeneuve and Deakins, for all of their technical prowess and superb aesthetic summoning, glorify it either. Sicario does have a certain point to make about the capitalist superstructure standing behind (and choosing sides in) the drug war, but it tends to lose that point in the masculinized reification of tactical aggression that is (usually) sadly unavoidable in its genre of choice. Sheridan and Villeneuve alike (the former with Hell or High Water, the latter with Arrival) moved on from Sicario to more deconstructive takes on the masculine imperatives of law enforcement and the military. Let’s take Sicario‘s stronger elements as stepping stones to better visions, and hope to leave its more reactionary features out in the inhospitable desert to waste away.